Garage doors are very useful in the daily grind of life. When they get damaged or broken, your routines will be affected. If you do not want to suffer from such an inconvenience, take note of our guidelines on how to effectively maintain your unit. You will never know if something is not right or something is shaping up to go haywire if you hardly pay attention to your door. Remember that residential units are worked hard enough, a couple of cycles in a day. You cannot expect it to be safe from the common issues caused by wear and tear. The parts that need checking include the springs, tracks, fasteners, rails, and cables among others. It is highly advisable, therefore, that you check on your door at least once a month. 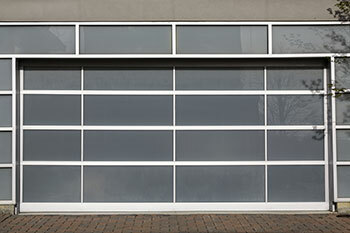 Professional garage door service through any of the renowned technical experts from our company is also valuable. Simple garage door maintenance can be done to ensure that at least the moving parts are clean and free of debris to work efficiently. You may brush up the dirt then apply an appropriate lubricant to loosen up the parts. Lubrication maintenance is key to keep the moving parts from being forced to work hard. This is crucial for such parts as the rollers, the tracks, and the bearings. For the rest, cleaning off debris is enough. Maintenance is also essential in maximizing the safety features of your unit. 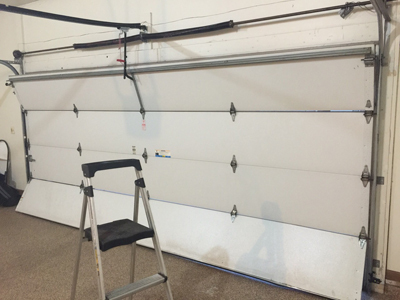 Garage doors manufactured after 1993 are required to be powered with safety reverse, which is aided by sensors placed about six inches above the floor space on both sides of the door. The sensors are there to track if there is anything in the way of the heavy door panels so they can automatically reverse back to open and leave the thing untouched. The door through the garage also opens up to the rest of the house. That’s a valid reason to keep it secured against unauthorized entries. It is not enough to have topnotch security – deadbolt locks, and wireless keypads installed – to protect your family from burglaries and intrusion. You must also know how to use them properly. You should understand that divulging your key codes to others or keeping them unchanged and leaving the garage door remote in your car, accessible to thugs, could jeopardize your home’s security. To enhance the lifespan of your garage door, you must use it properly and keep it well maintained.